Welcome to the Job Search and Hiring Fast Lane! Fasten your seatbelts, job seekers and hiring managers. After months of hard work, the iHire team is excited to announce the latest addition to our list of 56 industry-focused communities: iHireTransportation! 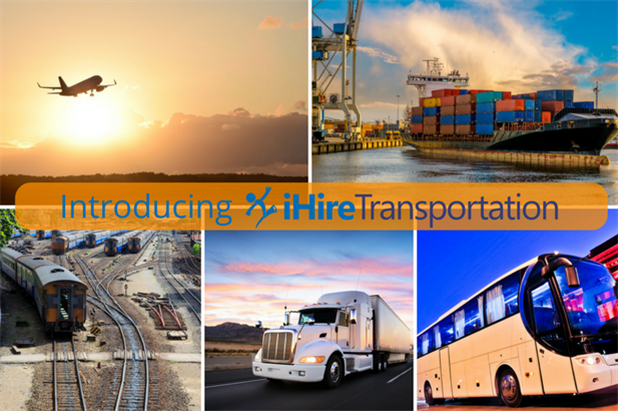 With the rollout of iHireTransportation, we’ve decided to park our iHireTrucking site for good, but that doesn’t mean professionals searching for driving jobs will have to look elsewhere to find the latest openings in their chosen field. On the contrary, iHireTransportation will still have plenty of opportunities for CDL drivers. We’ve expanded the site to also serve individuals looking for pilot jobs, railroad jobs, and boat captain jobs, as well as other types of driving positions like bus drivers, taxi drivers, chauffeurs, and gig drivers. To get iHireTransportation off the ground, Lidie enlisted the help of a cross-functional team from several departments who dove into investigating occupations and companies across the transportation sector. Once the research phase was complete, iHire’s development team got to work building the new site from the ground up. Existing members of iHireTrucking will notice very little difference when they visit the new iHireTransportation site. They will still have the same usernames and passwords and all of their account information has been transferred over as well. The biggest change is that thousands of additional transportation professionals will have access to the same great job search and hiring tools our iHireTrucking users have enjoyed for years. Job seekers in a number of fields can now visit iHireTransportation to search for job openings from 12,000+ sources in an ad-free environment, take advantage of iHire’s unique resume tools, and set up automated job alerts so they never miss an opportunity. Hiring managers also have a new resource to find highly qualified professionals regardless of whether they specialize in air, rail, road, or water transportation. Life is a highway, folks. Chart a course for career success and put the pedal to the metal on your job search or recruiting initiative. iHireTrucking may have sailed off into the sunset, but the sky’s the limit for iHireTransportation!